You may wish to sketch a 2D shape in a CAD package first for more complicated geometries. 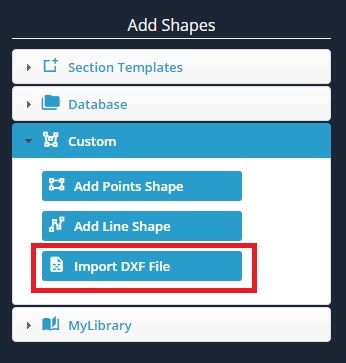 For this reason, SkyCiv has enabled the ability to import DXF (Drawing Exchange Format) files into the Section Builder. Use any CAD package of choice which offers the ability to save the geometry as a DXF file. Originally could only support 1 polygon per DXF file. Can now support multiple polygons per DXF file. Originally only supported line entities. Can now support lines, arcs, and polylines. 1) Expand the 'Custom' menu on the left, and click the 'Import DXF File' button. An open file pop up will start and ask you to navigate to the location of your DXF file. 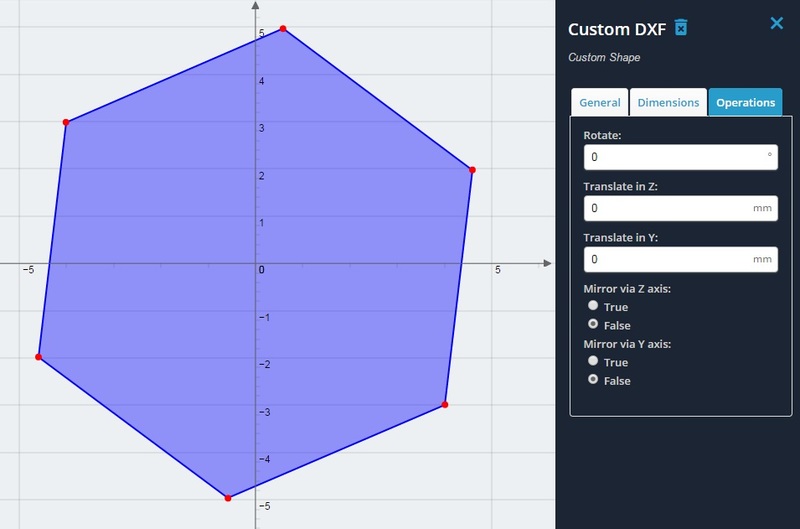 2) The hexagon which was originally drawn in Solidworks has now been imported to the Section Builder. Note that no dimensions are able to be changed, however you can perform operations (rotations, translations, mirrors) or change the material of the shape just like you would any other shape within the Section Builder.